I don’t know about you, but as a full-time geek, my mind is always buzzing with something. If I’m not on a computer, I’m checking my iPhone. If I’m not on either one of those, then I am on my iPad reading my comic books or watching the latest Mythbusters episode on my Apple TV. No matter where I turn, my mind it seems is always connected to some piece of technology. The constant overloading of my internal circuits does nothing less than stress me out! 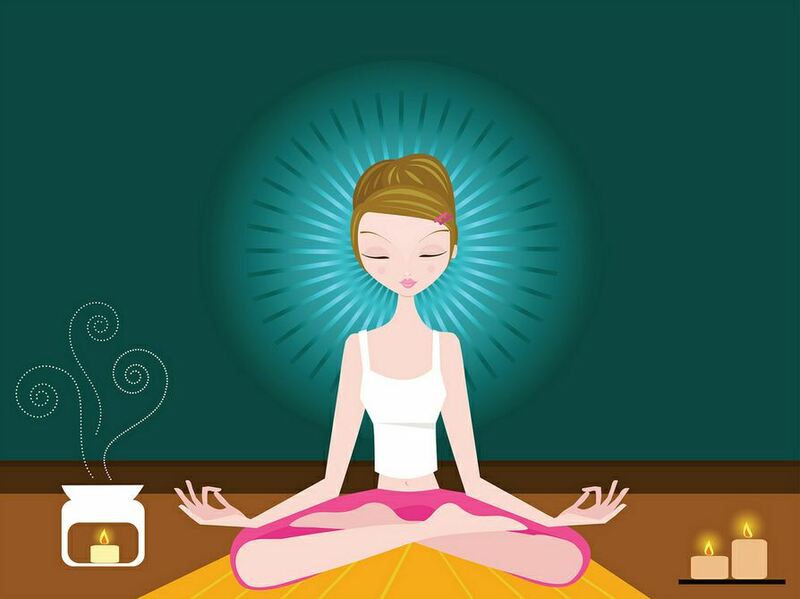 I was first introduced to the practice of meditation in a hot yoga class. It was part of the teacher’s routine to do a short meditation session at the end of the class. After 45 minutes of grueling hot yoga, the last 15 minutes of relaxing were heaven on Earth. A centuries-old tradition, meditation has been recommend by doctors as a means to help reduce stress and anxiety in their patients. As a mother who suffers daily from anxiety, I’ve found meditation to be very useful in helping to lower my anxiety levels. The basic definition of meditation is “the practice of concentrated focus upon a sound, object, visualization, the breath, movement, or attention itself in order to increase awareness of the present moment, reduce stress, promote relaxation, and enhance personal and spiritual growth.” Some people enjoy just relaxing and focusing on their breath, while others prefer a pre-recorded guided meditation. I started with breathing exercises and moved on to guided meditation later on. When I was first starting out, I found Yongey Mingyur Rinpoche’s video on how to meditate, very helpful. At work, I’m lucky to have an office with a door and a really big window. When I’m at work and need a break, I shut my door, turn everything off (the hardest part of the whole routine), put on my headphones and I count my breathing for 5 to 8 minutes. By the time my chimes go off, I feel refreshed and renewed. It’s amazing what such a short time can do. Guided meditation has been very helpful not only for me, but also my six-year-old son. He first learned how to meditate with Ziji the puppy . After he had the concept down, he decided to try some guided meditation with me. For three nights we visited the beach for eight minutes before bed. It was easy to follow along with the soft voice and background music. After the third night, we took a trip into space with Magical Adventures . I can’t say that I saw an immediate improvement in my son’s anxiety levels, but it was a neat way to spend some quality time with him. For me, the most difficult part of meditation was turning off my phone and other tech devices. The only tech device I leave on is my iPod for my nature music and timer. I was surprised at just how painful it was to just turn my phone on airplane mode for as little as 5 minutes. My addiction to my iPhone is a different issue that I will get into in another post. Next week, I’ll introduce some geeky necessities that I have found helpful in my meditation and relaxation practice. Until then, Namaste.